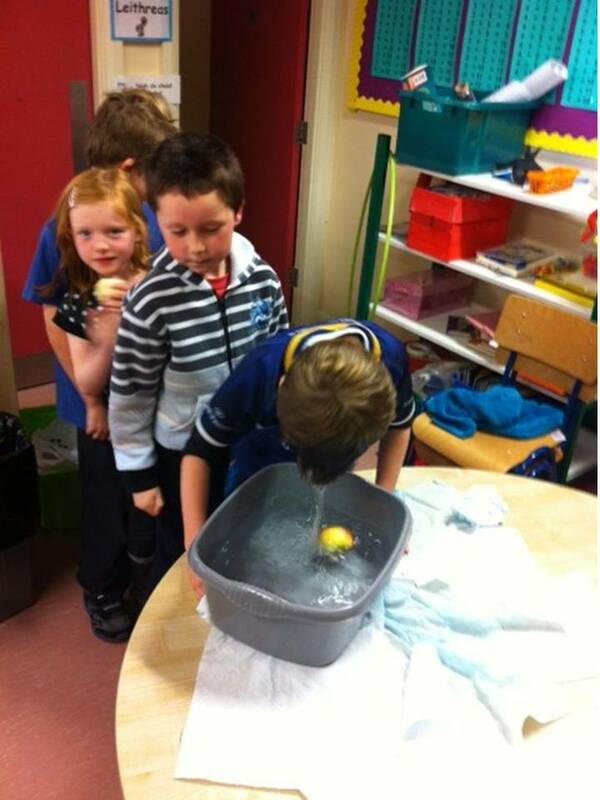 Second class have been learning about Samhain and the origins of Hallowe’en. 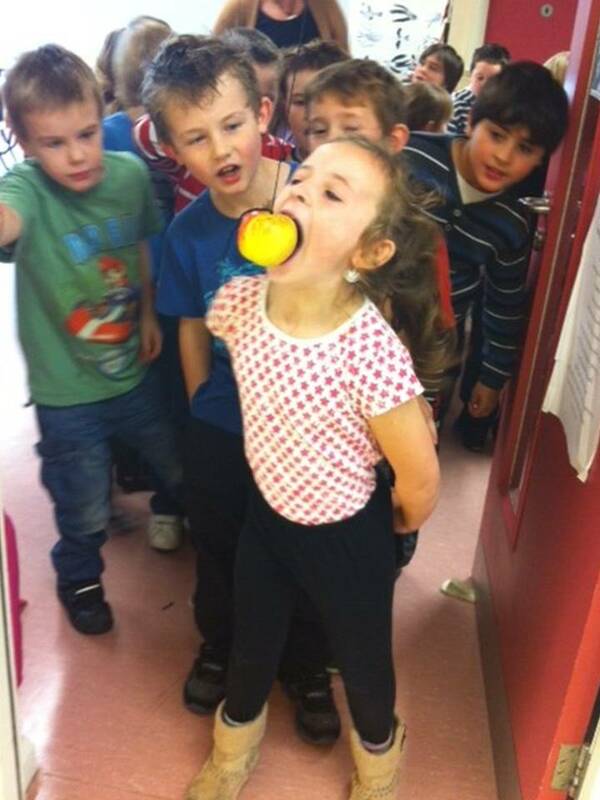 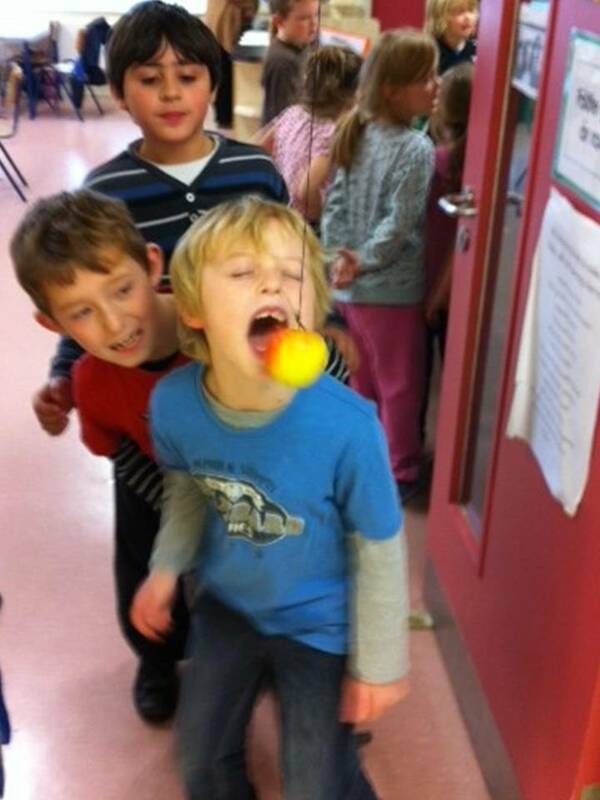 We played some festive games like ‘Bob For Apples’ and ‘Snap Apple’. 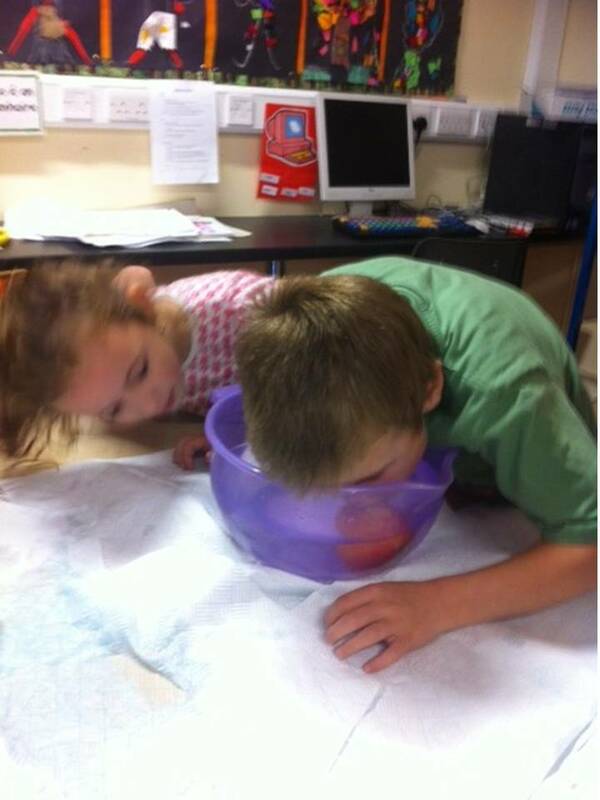 It was great fun…and very messy!